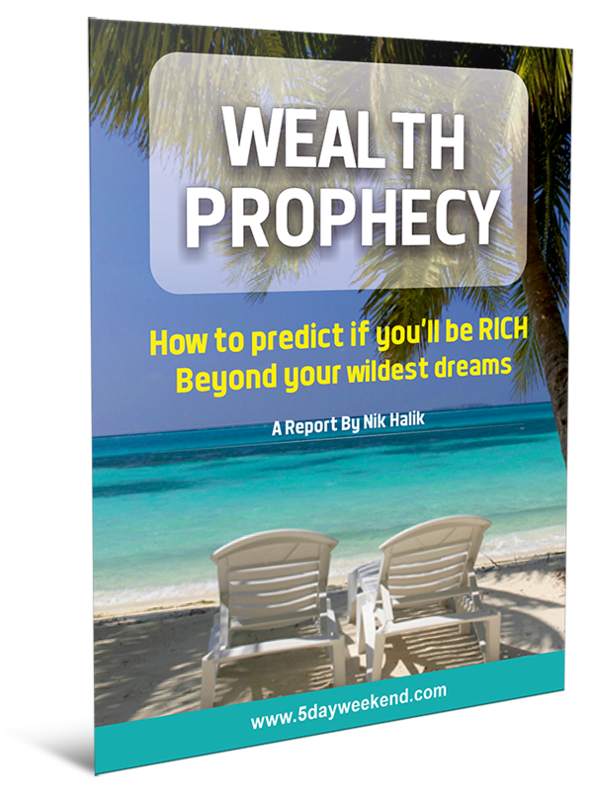 Download Nik Halik’s “Wealth Prophecy” report. This incredible report reveals the secrets you need to live a 5 Day Weekend Lifestyle. In the meantime, click the button below to read more about Nik and his incredible 5 Day Weekend lifestyle.